You may understand that different makes of storm windows provide different levels of protection against various weather elements. A sheet of storm window plastic affixed over an existing window may be plenty of protection for a home that is only exposed to weather cold enough for snow to develop a few months out of the year. As soon as the cold weather passes, those sheets of plastic can easily be removed allowing the existing units to provide plenty of energy efficiency on their own. 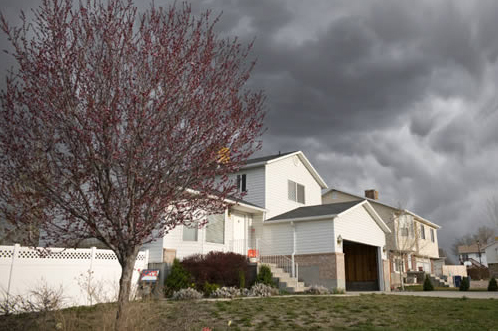 For another home located near a body of water, intense storms like hurricanes may be of concern at certain times throughout the year. These homes may require a much sturdier and permanent form of storm window protection despite the need for that protection only a few months out of the year. Storm window shutters might provide an instant extra level of protection against the possibility of high winds breaking the existing windows. These particular products might be mounted by storm window professional installers as permanent, even decorative looking features to the exterior of a house. Yet, they can become an added layer of storm weather protection that can be put into use easily after even the shortest storm warning notice has been given. Where your home is located largely determines the type of storm window protection that it will require. The level of protection needed being based upon the severity of the weather or temperatures typically experienced in your area. When a home is located in a warmer climate it will require a much different type of storm window protection than one located in a different climate. While some homes will experience very warm weather at certain times of the year, especially during summer, these homes do not have the same needs as a home that is located in a climate that experiences summer-like weather constantly. Warm climates also often involve greater degrees of humidity. Humidity can pose problems if a home is not adequately protected. For one thing, humidity can contribute to mold growth which can create other problems for a home and those who live in it. Mold damage caused by humidity could make for costly repairs to the structure at some point in the future. Mold can also aggravate allergies in some people. When a home in a warm, humid climate is in need of storm windows it is imperative that the correct type is purchased. A warm climate may not always involve humidity, as is the case in desert regions. In either case purchasing a product simply because it is a storm window may not offer the optimum protection needed. It is necessary to find storm windows that can stand up to high temperatures and humidity. A warm weather climate would not be ideal for storm windows that offer a type of protection afforded by specially treated glass. A specially treated glass like Low-E allows sunlight and outside warmth to build up inside a home while preventing any heat inside that home from escaping. This is exactly what a home in Florida would not need, even if these special storm windows could stand up to the strongest hurricane. 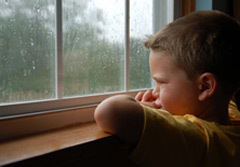 A home in a dry, desert climate might benefit from tinted storm windows. Tinted storm windows can come in many shades that minimize the heat that builds up inside by reducing the amount of direct sunlight that can contribute to that build up. The best way to start finding storm windows suited for hot weather climate is to consult with window professionals in your area.